How would you like to get glowing skin in just 30 minutes? Thanks to the innovative microdermabrasion skin-care technique that puts your home exfoliation routine to shame, you can get rid of dead skin cells, acne scars, stretch marks, melasma, sun damage, and fine lines quickly and painlessly. What is more, the procedure requires zero downtime which means that you can resume your usual daily activities as soon as you are done with the treatment. You can get microdermabrasion on the body as well as the face to attain smooth, soft, healthy skin. The procedure is most suitable for patients with fair to medium complexion since it can cause uneven pigmentation on darker skin tones. 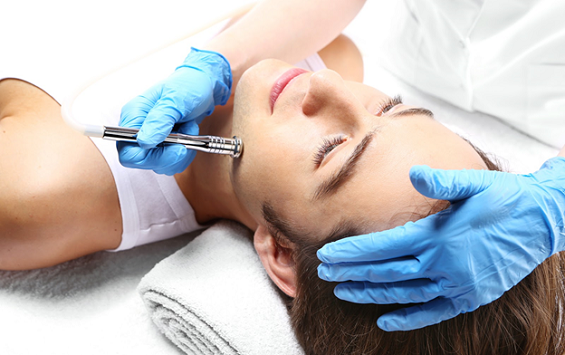 At Iuventus medical center, you can get a microdermabrasion facial at an affordable price. Make an appointment with one of our skillful aestheticians to get that enviable Hollywood glow right now! 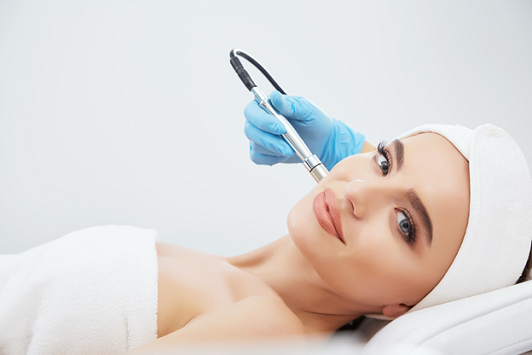 What does a microdermabrasion procedure look like? During microdermabrasion, a skincare professional only works with the topmost layer of the epidermis – stratum corneum. The idea is to gently break up and remove the dead cells using a special handheld device, which sprays fine crystals on your skin that scrub the surface. The body will perceive it as a minor injury and start working overtime replacing the lost skin cells with the new ones. As a result, the skin will look and feel softer. You can also get rid of some imperfections like fine lines, blemishes, scars, and sun damage spots. The procedure is safe and FDA-approved. It can cause minor swelling and redness that may last anywhere from an hour to a couple of days, depending on your individual reaction to the treatment and the healing speed. 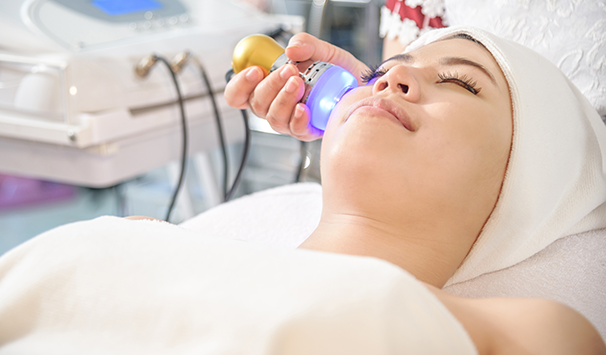 Microdermabrasion improves the circulation of blood and lymph which helps enrich your cells with oxygen and vital nutrients, improving the skin elasticity and giving you a healthy glow. You can invest in the most expensive creams and lotions, but they won’t work if there is a thick layer of dead skin cells blocking the absorption of its components. A microdermabrasion procedure increases the absorption level-up to 50%, therefore increasing the efficacy of your skincare products. If your pores are clogged or inflamed, they may get enlarged. Microdermabrasion clears the blocked pores, reducing the inflammation. As a result, your pores may reduce in size and become less prone to clogging and developing acne. Aestheticians highly recommend microdermabrasion for acne-prone skin. Stop wasting money on home exfoliation products that don’t bring the desired results and leave your skin dull and flaky! Microdermabrasion is an affordable cosmetic treatment that takes less than an hour and makes your skin look healthy and bright for months. Schedule an appointment today and see the results for yourself! If you have more questions about the cost of microdermabrasion or the procedure itself, don’t hesitate to contact us at any suitable time.